This hot and sour soup is typically flavored with tamarind and lemongrass to give it a tart flavor that makes my mouth pucker just thinking about it. It is very similar to the popular Thai soup Tom Yum Kung. Since the Thai soup seems to be more common in this area, I find it easier to find the hot and sour paste in Asian markets. 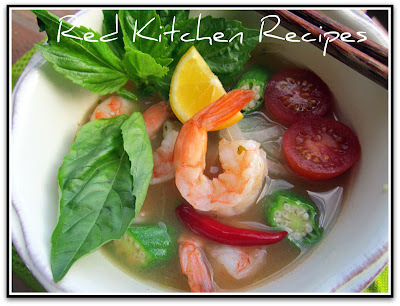 I use it to make the Vietnamese version of the soup, and I add the traditional Vietnamese ingredients such as shrimp, fresh okra, and tomatoes. Many people add pineapple to this dish, but I didn't really want the added sweetness. There are many variations of this soup, so feel free to add anything you want to yours. 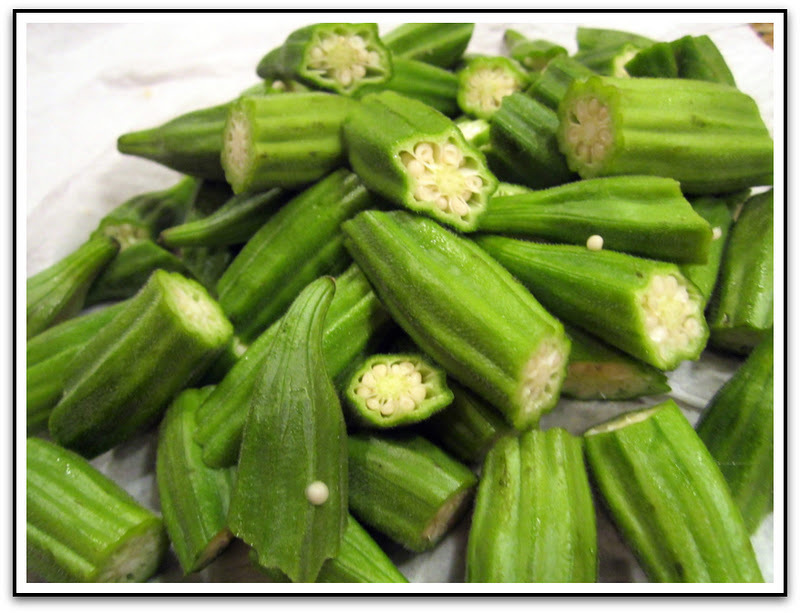 You've gotta love fresh okra if you are a woman in Arkansas. I'll admit, I wasn't a fan when I was a child. With that in mind, I am hopeful that Sasha will someday open up to new meals outside of chicken nuggets and pepperoni pizza. She did a great job of cutting the okra though, didn't she?! 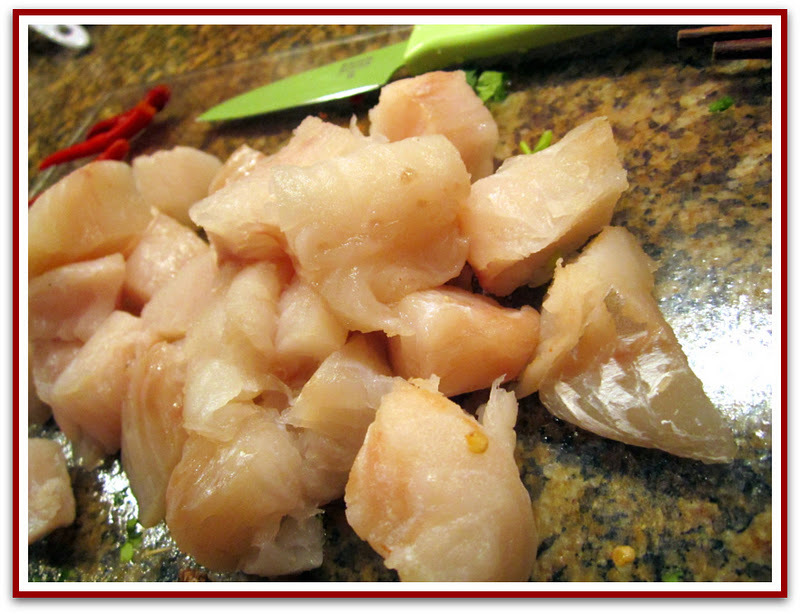 I also added some cod, which actually combines the recipe Canh Chua Tom with Can Chua Ca (sour soup with fish). Heat a thin layer of oil into the bottom of a stock pot. When hot, add the onions for about 5 minutes. Stir every once in a while, then add the garlic. Season with a sprinkle of kosher salt. Next, add the seafood stock or hot water. Bring up to a boil over high heat. 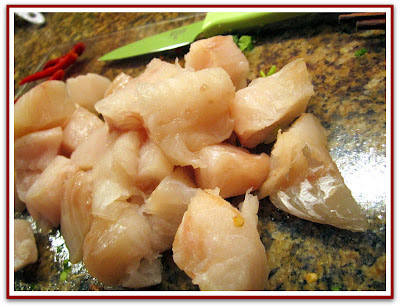 Once it is a rolling boil, add the hot and sour paste, chili paste, and fish sauce. Stir the ingredients to blend. Next, add the okra and mushrooms. Let them cook about 3 minutes. Add the tomatoes, sliced in half. Add the shrimp and cod at the end. When they look firm or opaque, turn the heat off. (About 5 minutes) Serve with rice or without, but definitely with fresh herbs.